Sony Mobile Communications unveiled two stunning super mid-range models in its refreshed “X” series, Xperia XA1, and its 6” screen big brother Xperia XA1 Ultra. Building on the success of last year’s XA models, the XA1 and XA1 Ultra feature a beautiful borderless design to make the most of the edge-to-edge screen, cameras that are worthy of a high-end premium status and octa-core processors. Camera expertise are taken from Sony’s digital camera division to deliver a leading rear camera for both Xperia XA1 and Xperia XA1 Ultra that offers 23MP high resolution with a large 1/2.3” Exmor™RS for mobile sensor, bright F2.0 lens and superior lowlight capability. You’re guaranteed a superfast journey from launch to capture in 0.6s and incredibly fast and accurate Hybrid Autofocus, so even the most spontaneous moments are always in focus. Front cameras are the backbone of the selfie world and the 8MP, 23mm wide-angle lens on Xperia XA1 will let you capture all the action even in a group selfie without missing anyone out. The Xperia XA1 Ultra features a 16MP front camera with Optical Image Stabilizer to eliminate the effects of handshake and improve low-light selfies, plus a smart selfie flash to naturally illuminate your face. 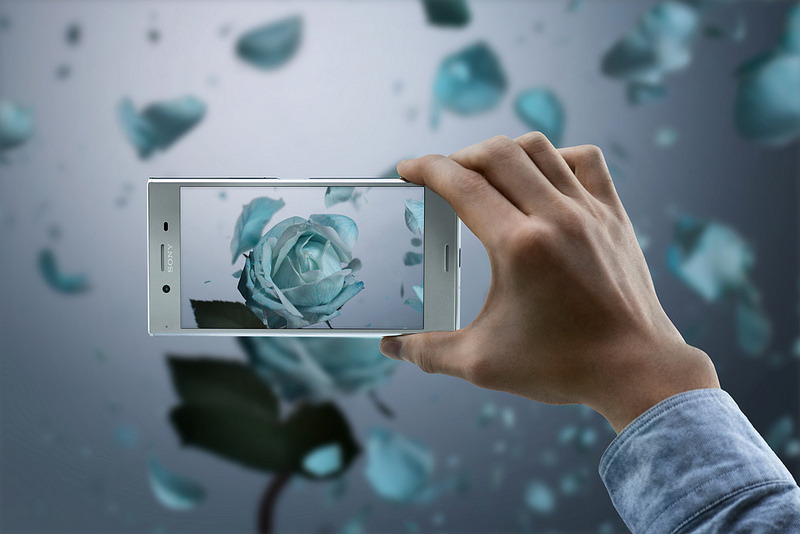 Both models allow you to capture the perfect selfie easily with just a wave via the ‘Hand Shutter’ camera feature. The beautiful borderless design introduced in 2016 has been refined to create the illusion of a seamlessly never-ending surface whose curvature aids the perfect fit in your hand. 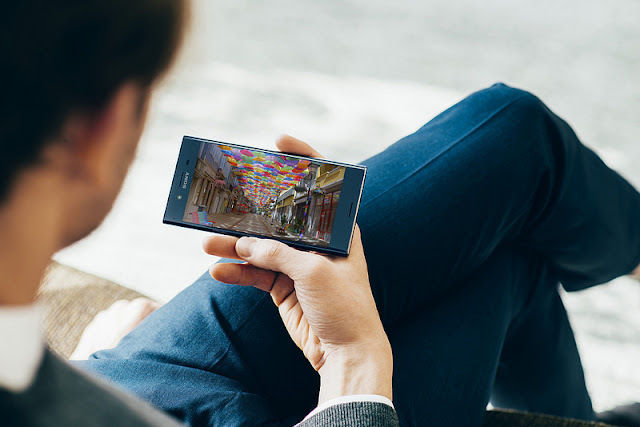 The edge-to-edge HD (720p) 5” screen on XA1 and Full HD (1080p) 6” screen on XA1 Ultra are supported by display technologies to deliver a crisp, sharp viewing experience. With their power-efficient Mediatek octa-core processors you get a quick and smooth experience, whether you browse the web, watch a video or play your favourite game. Both XA1 and XA1 Ultra are designed to ensure a longer lasting performance over the smartphone’s lifetime. Qnovo Adpative Charging monitors the battery’s health and adjusts charging current accordingly to avoid damage and maximise lifespan whilst Stamina Mode keeps your battery going for longer when you really need it the most by disabling some of the functions and extending the lifetime. Sony’s Smart Cleaner cleverly manages the performance and memory of your device by clearing the cache and unused apps automatically in order to attain the best speed and performance without degradation over time. Additionally, both models support quick charging to give you hours of power in just a few minutes charging. 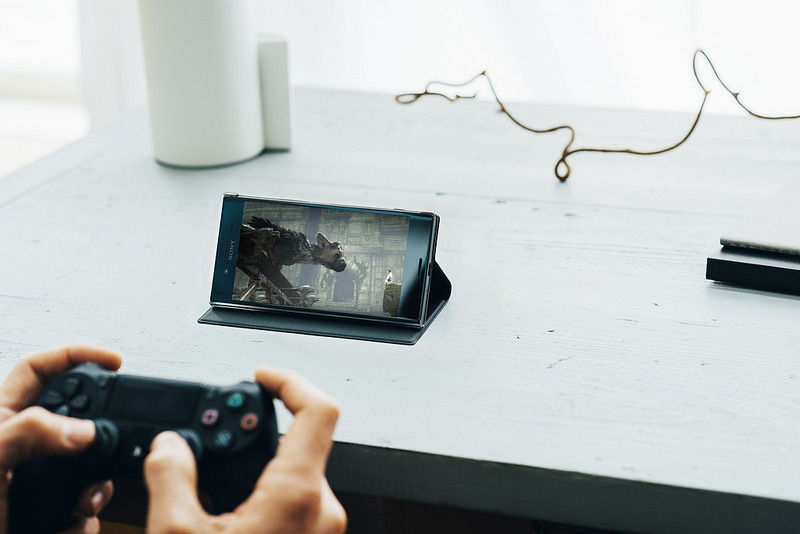 Xperia Actions is a new addition to the latest Xperia range including XA1 and XA1 Ultra that aims to learn your usage patterns to simplify your daily life by suggesting customisable settings and personalised recommendations. For example, when you go to bed your Xperia can learn your bedtime routine and automatically adjust the screen brightness and call volume. Availability, RRP and colour for the Xperia XA1 and Xperia XA1 Ultra is yet to be confirmed. Huawei Consumer Business Group (BG) defined a new category of wearable technology with the HUAWEI WATCH 2 which combines the connectivity of a smartphone, the smarter living applications of a premium smartwatch and the detailed performance coaching and tracking of a leading sports tracking device, all in the form of a stylish classical wristwatch. HUAWEI WATCH 2 inherits the classic design of the original HUAWEI WATCH while introducing new innovations in every category to better empower users’ spirit of exploration and help them enjoy an active lifestyle. Besides the SIM version working with mobile network carriers worldwide, the HUAWEI WATCH 2 also provides an eSIM version (available to limited countries). What’s more, some carriers feature a one-number-multi-SIM service. There’s no need for a new number, as the watch and your mobile phone can share the same number. Going far beyond being just a partner to a smartphone, the HUAWEI WATCH 2 (4G supported version) provides the flexible connectivity required in a modern active life and gets everything controlled by one hand. Technology innovator Huawei and premium lifestyle brand Porsche Design extend their partnership with the announcement of the new Porsche Design HUAWEI Smartwatch. Complementing the Porsche Design HUAWEI Mate 9, which was launched in November 2016, the product further enriches the user experience. Again, the collaboration brings together the latest innovations in technology with the most functional design, creating an equilibrium of aesthetics and function. It combines the latest activity tracking and fitness management functions with the connectivity and smart technology of a leading smart wearable device. For those who demand style and substance, the Porsche Design HUAWEI Smartwatch delivers professional standard fitness tracking, the latest smart functions and sophisticated design - all from the wrist. The innovative smart watch is the first ever to be created by Porsche Design and part of a continuous roll out of smart devices, which will be released in the upcoming months. The watch will go on sale in Spain, France, Portugal, Italy, Germany and China this March, priced from 329 € depending on the design and features being chosen. 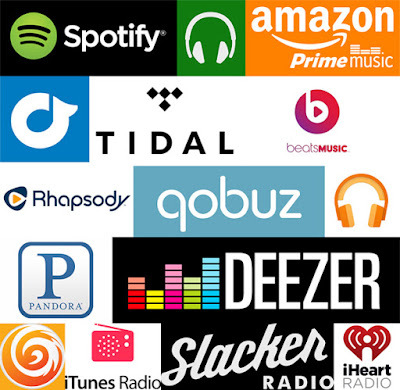 It will become available in additional countries including the US, the UK, Russia and Australia from April. Huawei Consumer Business Group continues to celebrate Happy Valentine’s Day with Huawei Nova. Love is in the air, and the Nova is a perfect companion for young love. The device is designed to support dynamic consumers’ unique personalities – the very fabric of young South Africans around the country. Though the day happened two weeks back but as the salaries just hit the banks of the people in love, this is the right time to check out the latest smartphone from the house of Huawei. Huawei Nova is certainly here to help fast track the love lives of Millennials and keep up with their fast-paced lifestyles. With its new curved surfaces and 5inch screen made to create an efficient single handed usability. Stylishly designed and advanced camera features which helps with single handed shots. The device is designed to capture the best selfie moments with loved ones, together with its powerful 8-megapixel front-facing camera. Huawei Nova series is driven by the Snapdragon 625 processor which contributes to increased performance for the phone and reduce power consumption allowing more talk time between loved ones. 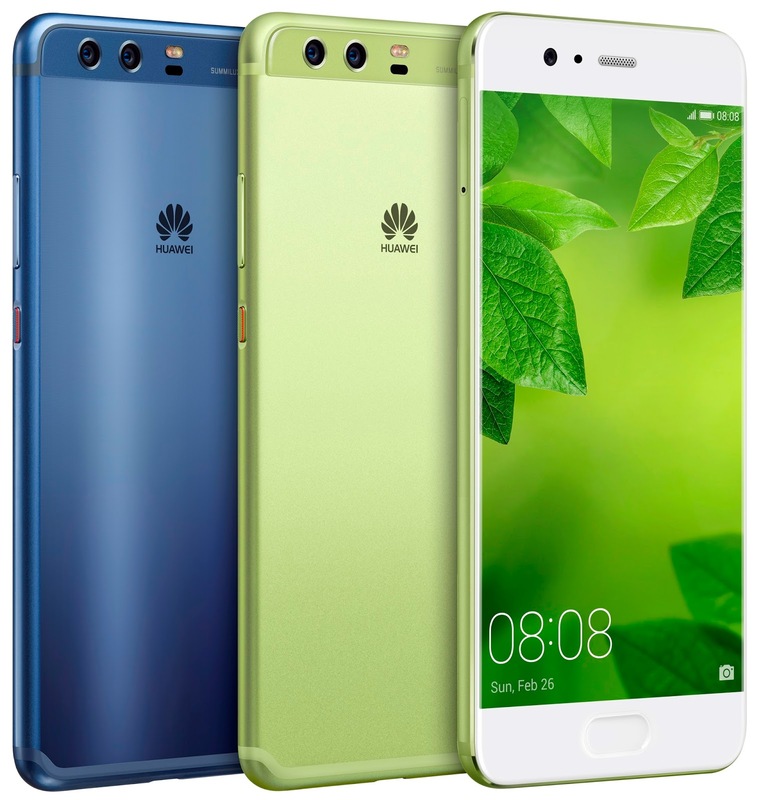 With today’s fast paced lifestyles amongst the youth, Huawei Nova, launched in early 2017, features a competitive retail price for a high-spec phone at just R 6999. The affordable handset features enhanced usability, multi-curve design and camera advances for vivid photography capabilities. The device includes an 8MP front-facing camera, with the Beauty Makeup 2.0 and Beautiful Skin 3.0 applications. The 12MP rear camera features a wide-aperture lens and imaging sensor. Huawei nova is powered by Snapdragon 624 processor and a 3020 mAh battery. 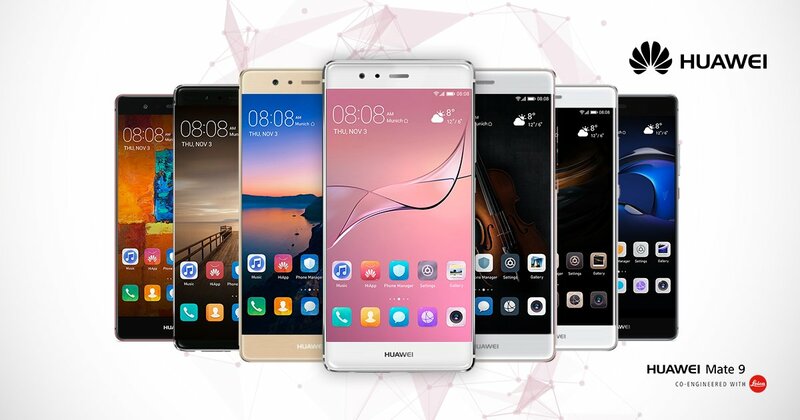 The Huawei Nova is available now at all major carriers. 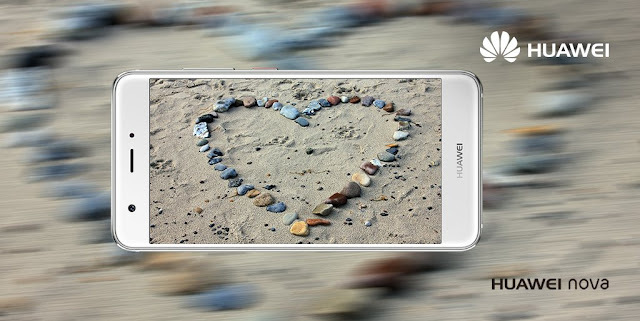 Huawei South Africa has made available its newest smartphone, Nova. The new device is designed to meet the needs of today’s most dynamic consumers. The device features a stunning multi-curve design feature, camera advances for more vivid photography and performance updates for enhanced usability, meaning consumers can take their best shot. Every feature of the Huawei Nova is designed to support consumers’ fast-paced, dynamic lifestyles, and to express their unique personalities – reflecting the young demographic of South Africa. The devices are priced competitively at a recommended retail price of ZAR R 6999 for the Nova, making it a high-spec, affordable handset for young consumers. The device delivers brilliant usability features combined with stunning looks, powerful performance and fantastic camera which continues Huawei’s commitment to innovation and design. 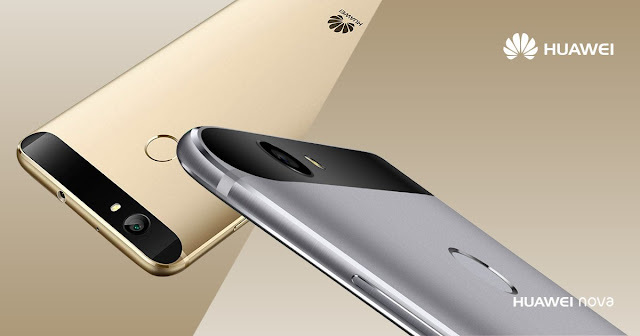 The Huawei Nova smartphone’s curved surfaces and 5-inch screen connect seamlessly to create an ergonomic, compact design that fits perfectly in the user’s hands, enabling single-handed functionality. As beautiful to look at as it is to use, the Nova draws inspirations from curves found in modern architecture with its curved metallic back polished by an advanced sandblasting process, hairline finishing and signature oblong composite panel stretching across the top of the phone. The subtle contours and smooth curves reflect light to emit multiple shades of brilliant colours and sheens. Today’s smartphone users demand a device that empowers them to take their best shot and share their favourite moments, anytime and anywhere. With its powerful 8-megapixel front-facing camera, the Huawei Nova enables users to take and share better selfies in any lighting condition. Additional features include the proprietary Beauty Makeup 2.0 and Beautiful Skin 3.0 applications, which apply cosmetic effects and skin smoothing filters to create more flattering images. Huawei Nova’s 12-megapixel rear camera with 1.25um larger pixel sports an enhanced wide-aperture lens and imaging sensor allowing it to capture photos in low-light conditions. In addition, the Huawei Nova supports fast autofocus for amazing accuracy, helping consumers to capture wonderful moments in their life. The Huawei Nova is powered by the Snapdragon 625 processor, which uses advanced 14nm technology to increase performance and reduce power consumption. The Huawei Nova’s 3020 mAh battery with Smart Power 4.0 can power longer sessions for users to easily navigate between different apps. With a next-generation 3D fingerprint sensor, the Huawei Nova supports faster and more accurate 360-degree unlocking for improved security, convenience and single hand selfies. The Huawei Nova with 32GB ROM, will be available at all operators. I will review the device once I receive the same from the brand.